The Dragon Emperor slot is a wonderful game, but very difficult to find in Las Vegas casinos, so if you happen to see it, please let us know. It has one of the most innovative an unusual features seen in an Aristocrat slots game. The unusual feature sees Dragons leaping around the screen, so you can get more than one win from a single spin, especially because the Dragon is wild. When you hit the bonus, you get 7 free spins. Well, to be more correct, those 7 free spins are the basic award, but more if you get more, if you happen to hit more than 3 bonus symbols in a row. At the time, you get a nice little Chinese ditty, a bit of music to whet the appetite and start you thinking about the type of win you might be about to be getting. 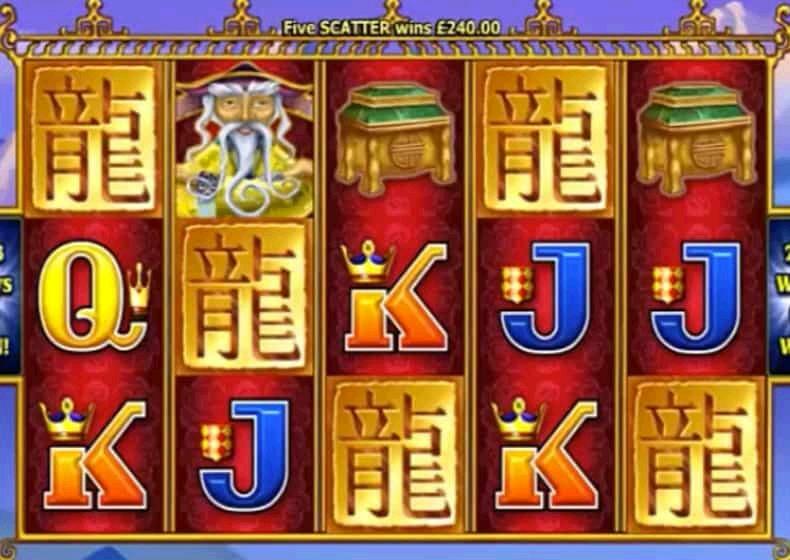 During the bonus, you get loads more of the wild symbols on reels 5 and so you get a lot more opportunities for big wins. When I last played, I managed to get a full stack of Dragons leaping around the screen on 5 of the 7 free spins, which was awesome. To play for real money online, you would need to live in Europe, or just a few other places. 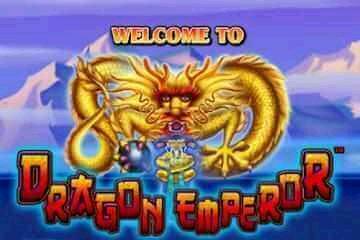 Unfortunately, USA, Canada and Australian online casinos don't have Dragon Emperor slots, but you can find very similar games, if not identical. To find casinos with similar slots, please see our real money online casinos page. The casinos all offer free play as well as cash games, so feel free to sign up and there is no need to give your credit card details, unless you want to play to win cash prizes. This game is almost identical to the Vegas original. The only difference I found is very very small and makes no difference to the game at all. It is simply that they sometimes state '243 ways to win' instead of the 'reel power' you see in Vegas. See, I said it was a small difference!